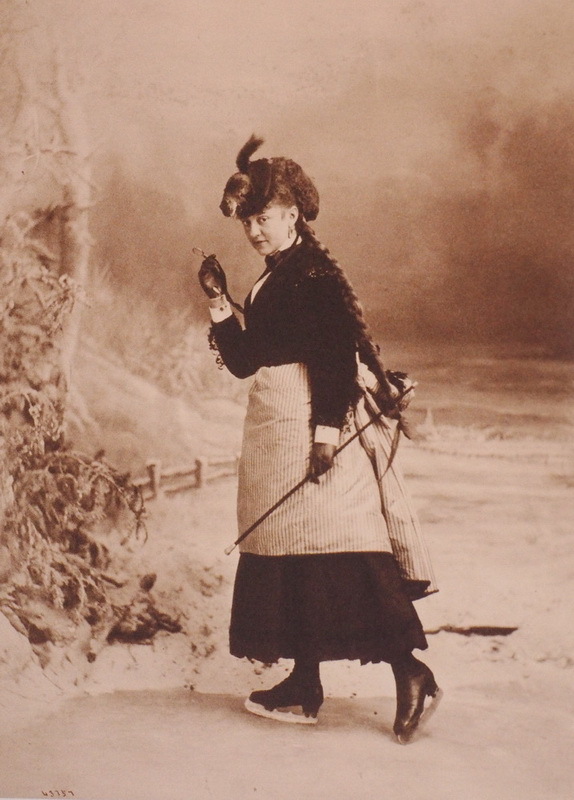 William Notman is a photographer who established himself in Montreal in 1856. 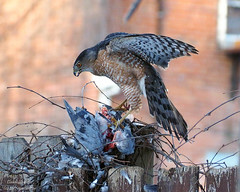 Very ingenious, he made use of the best technologies of his time and knew how to innovate. For example, the production of composite photographs that gave him much notoriety called for large production teams: his studio was the Ubisoft of the 19th century. 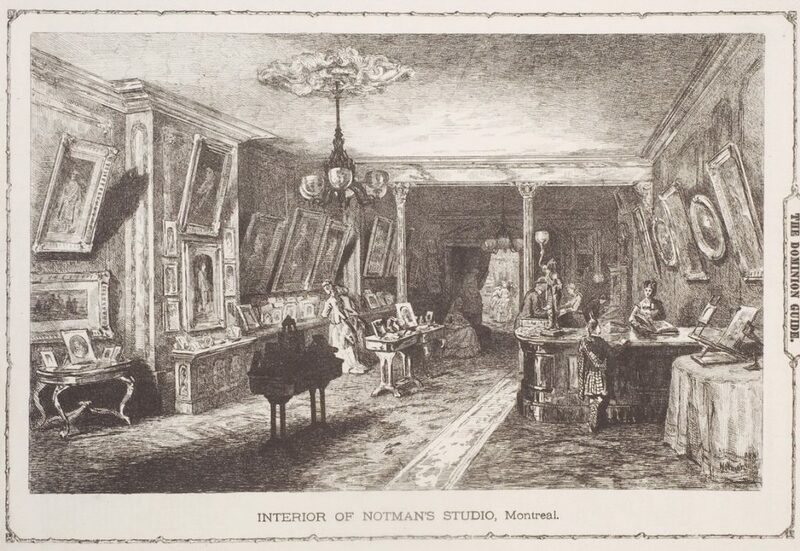 Notman was also a visionary for the use of photos in the production of printed material. 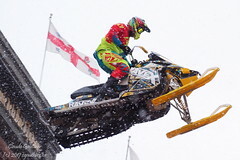 His influence could be found everywhere in North America. 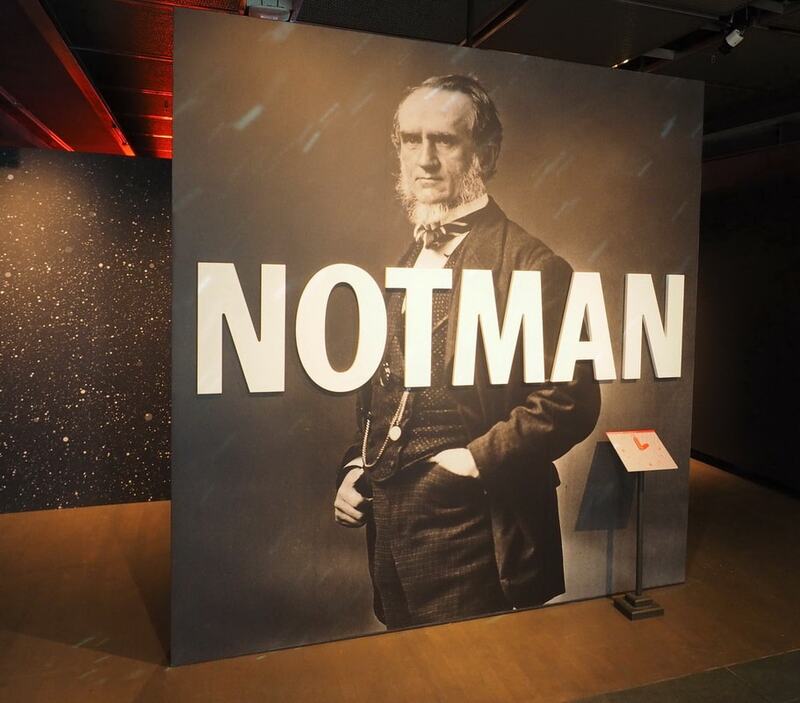 The Notman Exhibition at McCord Museum, which has just ended, was an eloquent tribute. 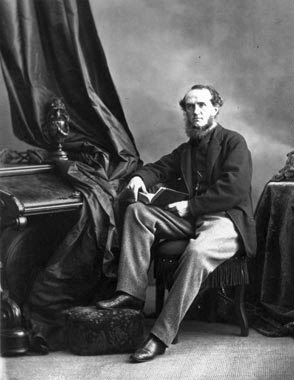 William Notman was born in Scotland (1826) and died in Montreal (1891). 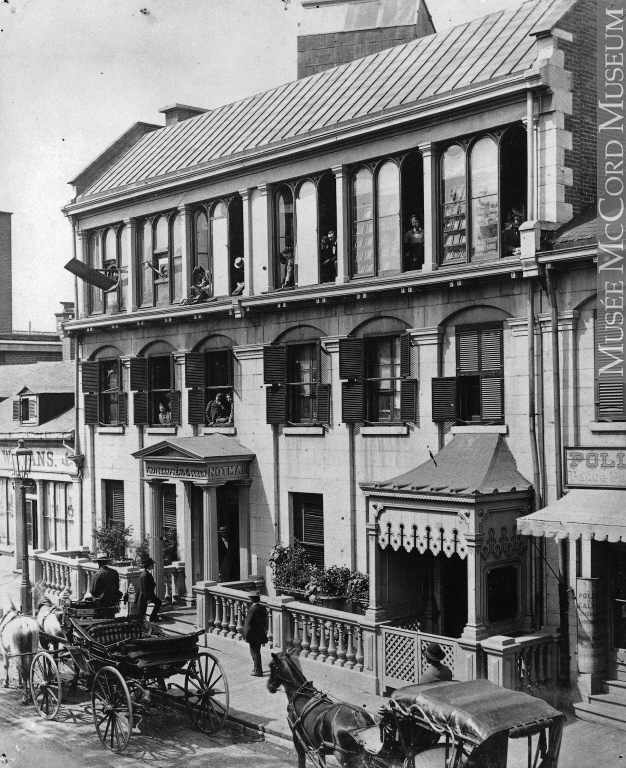 This collection was purchased in 1953 by a consortium through the initiative of McGill University and transferred to the McCord Museum. 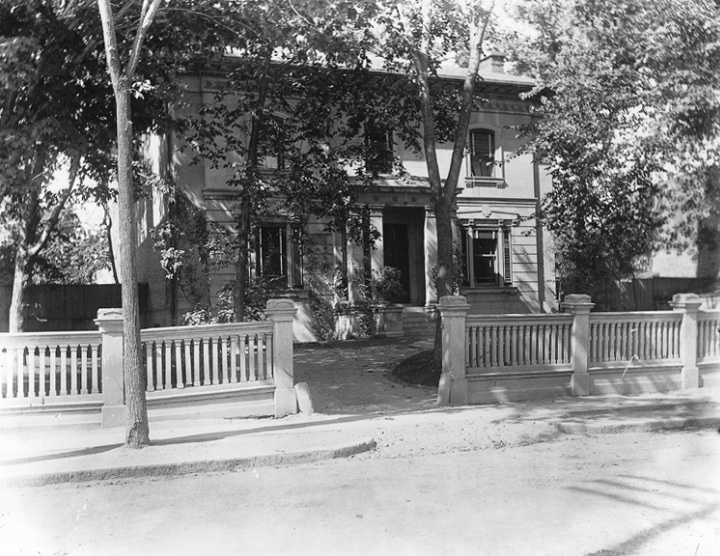 Notman House, located at 51 Sherbrooke Street West. Designed by the architect John Wells for the lawyer William Collis Meredith, completed in 1845. 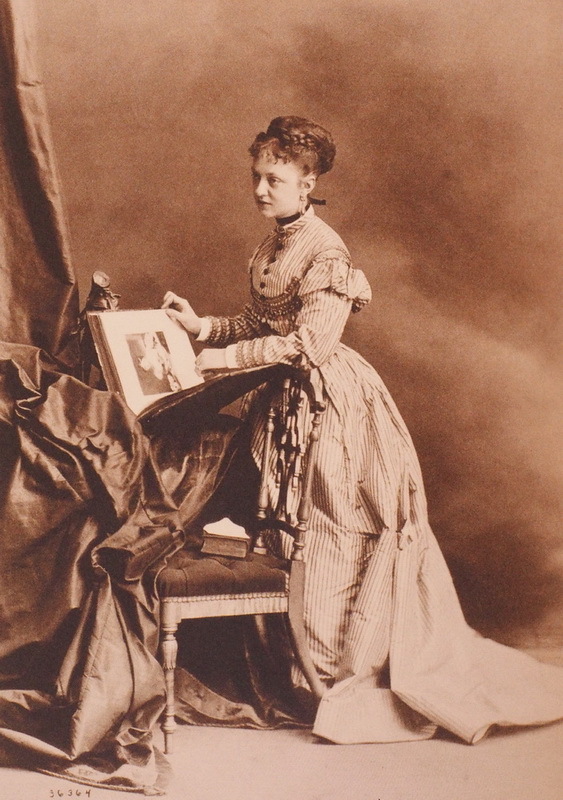 Acquired in 1876 by the photographer William Notman who made it his main residence. Since 2015, it houses start-up technology companies. 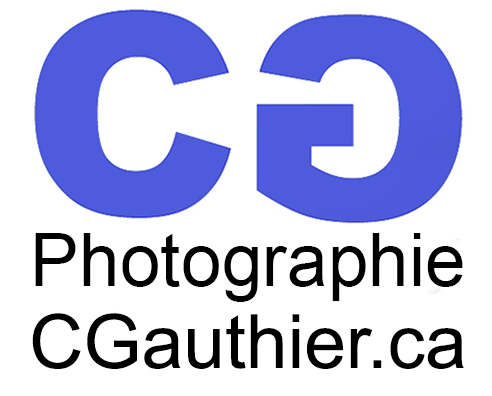 As soon as he arrived in Montreal, he put forward a visionary attitude to put in place a commercial organization including a studio, the distribution of images, with many partners. He saw the potential to ensure the promotion of the portrait as a tool for expression of personal and collective identity. 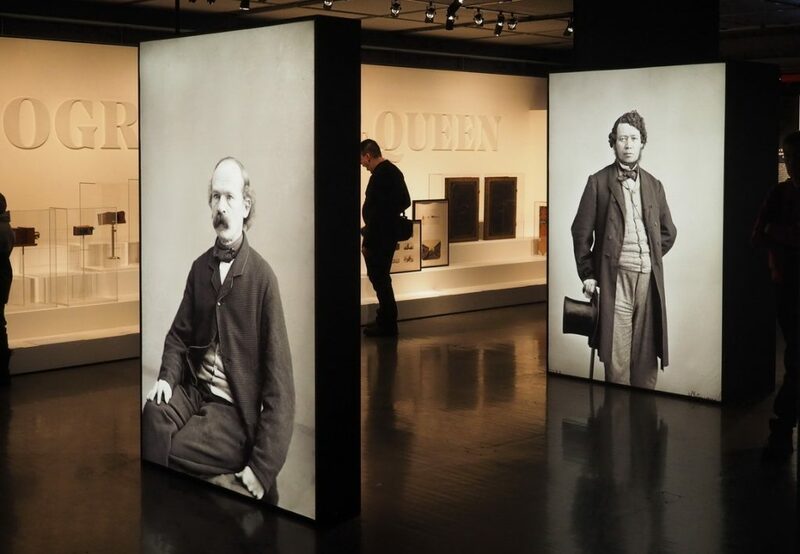 Putting forward a clear artistic vision, which was significant for his time: creativity at the service of the portrait, publications, technical innovations, systematic classification of photographs. Since the beginning of his career, William Notman did not use the popular daguerreotype process, which was introduced by the French inventor Louis Daguerre in 1839. This process makes use of a polished copper surface covered with silver oxide prepared with smoke to make it sensitive to light. Notman preferred to use the wet-collodion process, discovered by the British inventor Frederick Scott Archer at the beginning of the 1850s, which requires the use of a glass plate with a chemical coating bathed in a silver nitrate solution. The wet plate is then placed in the camera. The daguerreotype process allows the production of highly accurate images without producing a negative: the final image is the positive. On the other hand, the collodion process is a very fragile process (since the wet plates had to be loaded in the device , exposed to hazards such as dust, scratches that could ruin the image), the resulting plate is a negative and allows the making of prints. 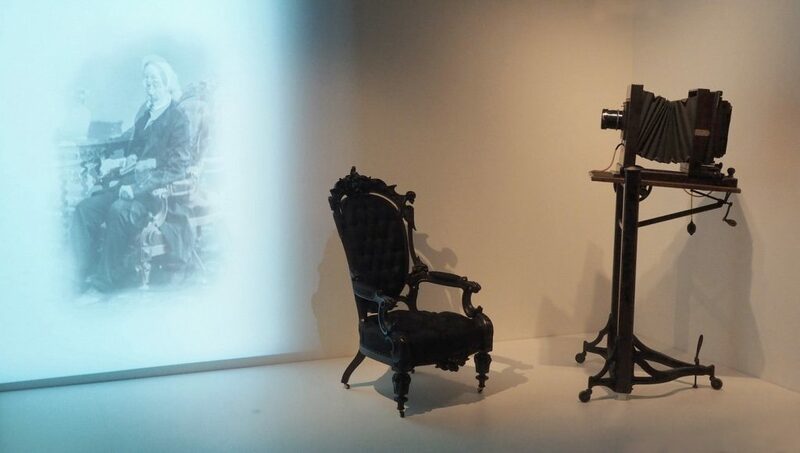 The time of exposure of a plate using the process of wet collodion is 2 to 5 minutes in a studio, which forces the people involved to remain motionless by using poses and craft to reduce the risk of movements that result in blurry images. From 1871, a new process using gelatine as a substitute for the collodium allows the fabrication of emulsions using silver bromide. These are dry plates, easier to use and 40 times more sensitive than wet collodium. The exposure time in the studio, with natural lighting, goes from 5 to 30 seconds, which offers a new basis for the production of portraits. 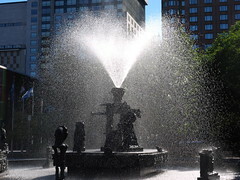 Discredited by the modernism in the 20th century, similar to the lack of taste of the ”newly rich” of the Victorian era. 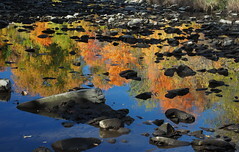 The practice of composite photography allows the resolution of several technical problems related to the beginnings of the photographic practice, particularly the long exposures and landscape photos. The photographic processes did not allow the capture of non-reflective portions of the landscapes and skies that were too clear. It was therefore easier to paint the sky and water surfaces. In the case of taking a photo for a large group of people, several problems arise: obtaining a balanced quality of lighting on the set as a whole and harmonious expressions of the characters. Therefore, if we take each character individually, it is possible to ensure the assembly and the general composition and to ensure the quality of the whole picture. 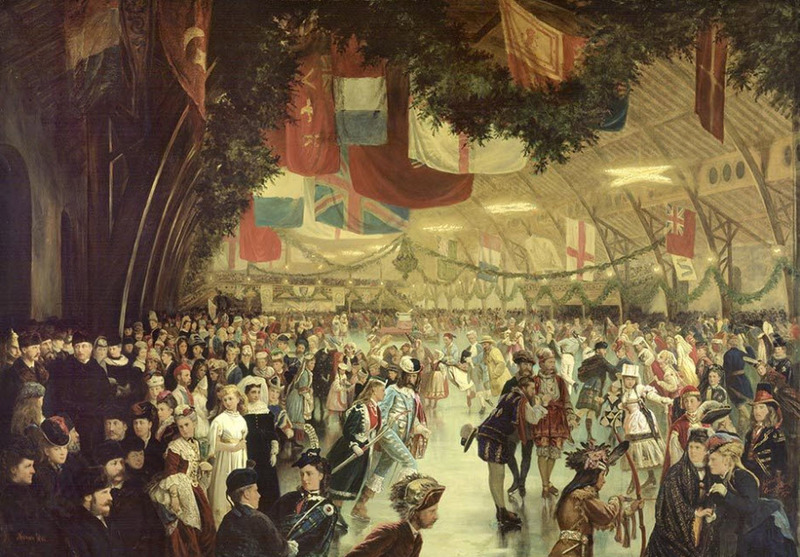 The most well known example of a composite image is the panorama of the Skating Carnival of Notman (1870). 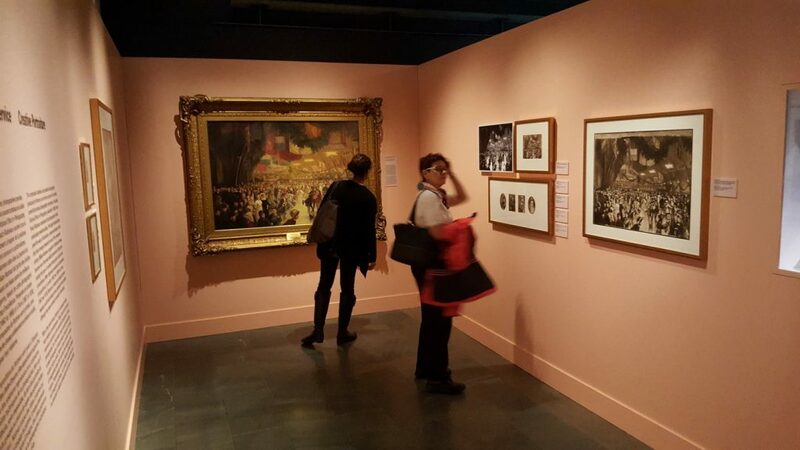 It is an artistic creation of a historical event: the visit of Prince Arthur to Montreal. Each character was first asked to pose in a studio, in a ball costume for an individual photo shoot. All the characters were then assembled together on the final canvas. The original work is 20 x 27 ½, in addition to a reproduction of 37 ½ x 53 ½, made from a projection on a canvas drenched in photo-sensitive emulsion during several hours, then fixed and washed. 1955: death of Charles, studio archives sold to a consortium structured by McGill University, and transferred to the McCord Museum. L’oeuvre maitresse de Notman, le composite “Le carnaval du patinage”, produite en 1870 en l’honneur de la visite du prince Arhur, tel que présentée à l’exposition du Musée McCord en 2017. Plus de 300 photos individuelles sont regroupés avec un arrière plan peint afin de produire la photographie finale. Cette production refèlte l’approche novatrice de Notman et la capacité de production de son équipe d’artistes et de techniciens.